Procon provides Building Information Modeling (BIM) expertise to Hill International to support their construction management of GSA’s renovation of the federal office building at 985 Michigan Avenue. 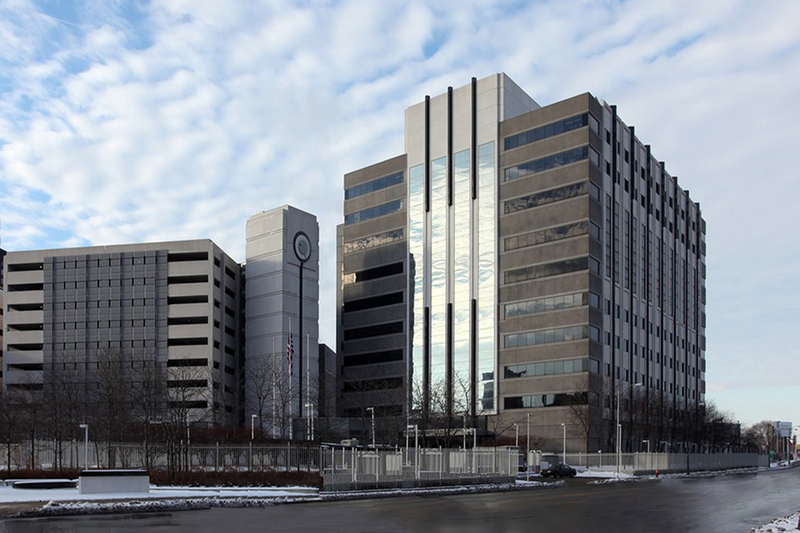 The $75 million renovation of the 10-story, 484,000 SF federal building in Detroit, Michigan includes improvements to HVAC systems, repairs to elevators, upgrades to fire/life safety systems, improvements and repairs to plumbing and electrical systems, roof replacement, and repairs to the parking garage. BIM is particularly effective for a whole-building, systems and infrastructure, renovation of an occupied facility. Complex projects involving existing structures and systems can benefit greatly from the puzzle-solving capabilities of a BIM system in the hands of well-trained experts. Facilitating the use of BIM during on board design review sessions and coordination meetings and operating Building Information Models to allow reviewers to view 3D geometry and 2D drawings. Performing clash detection analysis of Design and Construction BIM submissions to ensure building discipline systems and components do not conflict with one another and are coordinated. Performing BIM Spatial Data Validation analysis of design submissions in accordance with GSA BIM Standards. Performing analysis of BIM design submission for Errors and Omissions which could cause delays or change orders. Using Autodesk Revit, Navisworks and Solibri Model Checker to perform quality control analysis, facility reviews, and coordinate updates of models throughout construction phase to ensure as-built model meets GSA requirements and is ready to use for GSA Facilities Management programs. Performing COBie (Construction Operations Building information exchange) analysis on all AE and CMc BIM submissions to ensure they comply with GSA’s facilities management requirements.